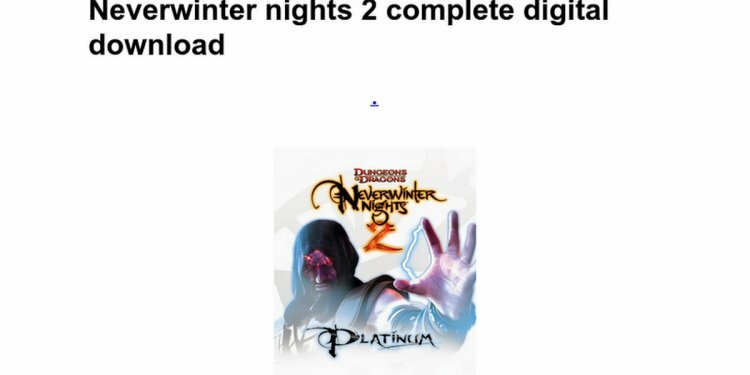 This is the complete patch for Neverwinter Nights, updating the roleplaying game title to v1.68 and fixing many things listed below in more information. WARNING! AS OF THIS PATCH, ALL MODULES CREATED/SAVED WITH THE VERSION 1.68 TOOLSET ARE TAGGED AS REQUIRING VERSION 1.68 OR HIGHER OF NEVERWINTER NIGHTS GAME OR TOOLSET. IF YOU DON'T WANT TO BRAND YOUR MODULE AS 1.68 THEN DO NOT EDIT YOUR MODULE IN THE VERSION 1.68 TOOLSET. IF YOU WANT TO GO BACK TO 1.67, WE HAVE A 1.68 TO 1.67 PATCH AVAILABLE. - Added visible cloaks to the game. - Fixed an issue with the Monk's Perfect Self feat not correctly reporting that the monk was immune when making saving throws against mind-affecting spells (was making Phantasmal Killer work on monks if they failed their saving throws). - Fixed an issue with the sleep spell not being counted as a hostile action when cast (nw_s0_sleep.nss). - Fixed range issue in spell "Mestil's Acid Breath" (X2_S0_AcidBrth.nss). - Fix to CopyObject so that copied creatures now run their OnSpawn script. - Enabled PLT support for visible cloaks. - Fixed an issue with GetIsSkillSuccessful not working correctly under Linux/Mac. - Fixed an issue with SetLockUnlockDC and SetLockLockDC being reversed in nwscript.nss. Any scripts calling these scripting functions will need to be recompiled for the changes to take effect. - Fixed an issue with ActionCastSpellAtObject not working for Paladin spells. - Made a change to hopefully fix some potential issues with the client losing some appearance/phenotype update messages when using the SetPhenoType scripting command. // Set oPlaceable's useable object status. // Note: Only works on non-static placeables. - Added new nwnplayer.ini setting. If turned on, some types of model errors will be logged out to the nwclientLog file and the AR_ERROR.LOG file while the game is running (in the NWN install directory). This would include some errors with setting invalid TileSet data, invalid use nodes set on placables, some placeable walkmesh errors, and some errors with the animrootnode not matching the name of other nodes in the model. - Wings now use the ENVMAP setting from the new column in the WingModel.2da rather than using the ENVMAP setting from the appearance.2da. This fixes some issues with transparency on wings. - Tails now use the ENVMAP setting from the new column in the TailModel.2da rather than using the ENVMAP setting from the appearance.2da. This fixes some issues with transparency on tails.